As the school year winds down and people begin to think about relaxation, please be sure to include Immaculate Conception in your summer plans!! 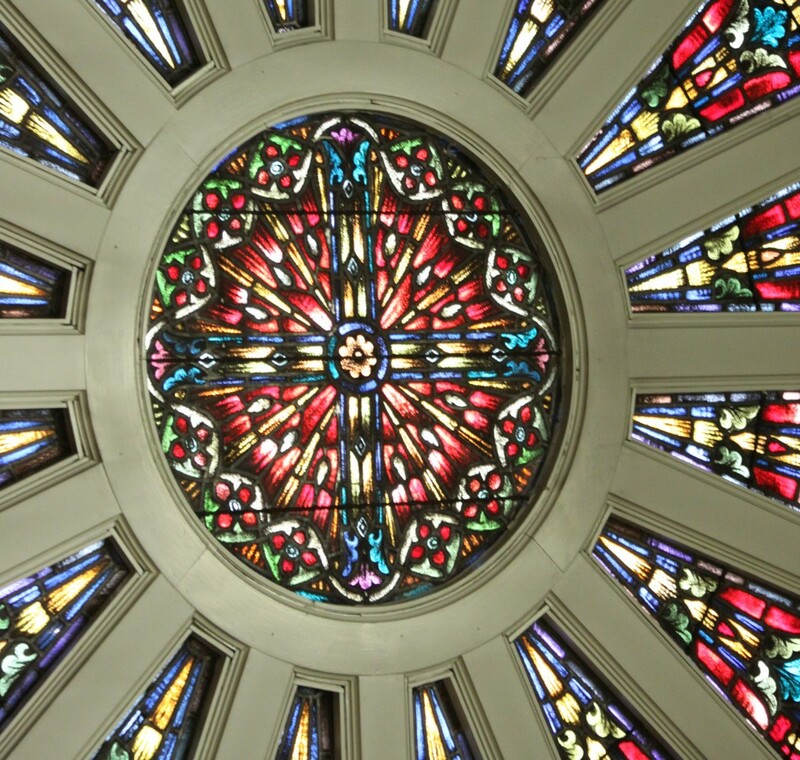 We have mass every Monday through Friday at 8:00am, Saturday at 4:00pm, and Sunday at 9:30am. May 9th: Knights of Columbus BBQ at the Shell Station (corner of Manchester and Big Bend) from 10:00am – 6:00pm. May 18th: Senior Luncheon at 11:30am in the Parish Hall, sponsored by the Maplewood Police Department with a presentation on Senior Safety. RSVP to 314-644-6805. Bring a canned soup for “stone soup” and $5.00. Your registration can be dropped in the LifeFaith box in church, at the rectory, or can be emailed to icmaplewood@gmail.com This is such a great way to grow in your faith with other members of our IC Community, so take part!! Congratulations to our PSR Students who received Sacraments this Spring! Caroline Barron, Kyle Pousosa, and Logan Sabourin received the Sacrament of Confirmation on May 3rd at the Cathedral Basilica. Caleb Bircher, Sierra Long, Sadie Murphy, Carleigh Nations, Brenna Patterson, William Puckett, Lorelei Simmons, and Tess Simmons received their First Eucharist on April 26th. Congratulations to Joseph Bates for receiving the Sacrament of Confirmation on April 4th at the Easter Vigil! 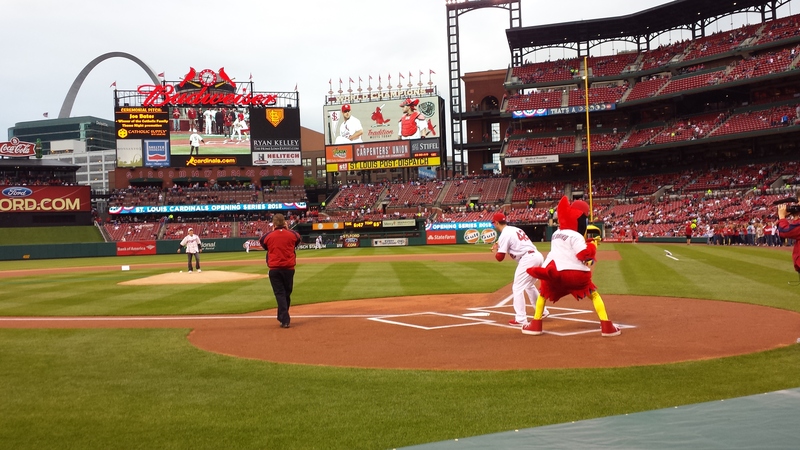 Not only did Joe become a new Catholic, but he was honored by throwing out the first pitch at Catholic Family Night at Busch Stadium on April 15th. What a great night for Joe. Joe Bates throws out the First Pitch at Catholic Family Night on April 15th, 2015.